Definition - What does Revolved Crescent Lunge mean? 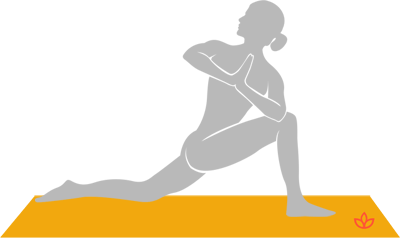 Revolved crescent lunge is an intermediate standing twist that stimulates the abdominal organs and lengthens the spine. Revolved crescent lunch may also be referred to by its Sanskrit name, parivrtta anjaneyasana. From a spiritual and mental standpoint, revolved crescent lunge activates the solar plexus chakra, which promotes confidence, and dispels fear and insecurity. Yogis with neck pain can keep the gaze forward or down to avoid twisting the neck.